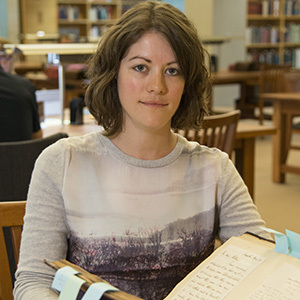 Alison Clarke is a second-year PhD student in the Department of History. 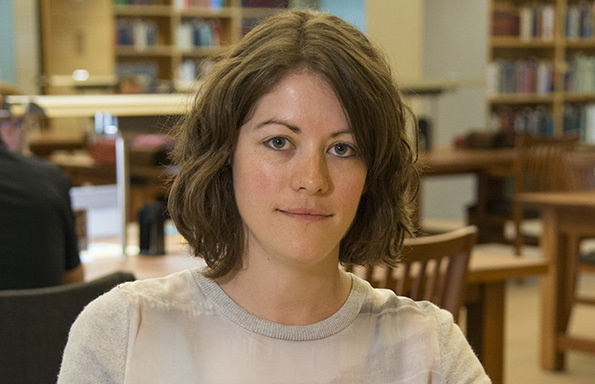 Her project is an AHRC-funded Collaborative Doctoral Partnership (CDP) with the National Gallery, where she is studying the archives of London art dealers Agnew’s. “My project aims to compare and contrast Agnew’s and the National Gallery as centres of expertise. This means considering issues like reputation, networks and connoisseurship: the way in which people tried to work out a painting’s attribution (which artist it was painted by). My sources include a lot of unpublished papers, particularly in the Agnew’s archive, which was acquired by the National Gallery in 2014. The archive covers the whole history of the company since it was founded in 1817 but has been largely inaccessible to researchers until now. My research has certainly developed since I started my PhD: initially I was only looking at Agnew’s and the question of attribution. I think that the project has really been strengthened by broadening it out and adding the comparison with the National Gallery. So that I’m not overwhelmed with material, though, I’ve shortened the time period that I am looking at. I’m now considering the period 1876-1916, as this covers the tenure of three consecutive Directors at the National Gallery: Frederic Burton, Edward Poynter and Charles Holroyd. The fact that I’m affiliated with both Liverpool and the National Gallery has given me lots of valuable opportunities. I’ve written a series of blog posts for the Victoria Gallery & Museum under the university’s LiNK placement programme. I was on the organising committee for a conference at the National Gallery that took place in early April. And the AHRC also organises regular specialist training in London for CDP students based at a range of heritage institutions, which is a great way to meet other PhDs doing similar work. I was particularly excited to get the chance to visit the US for research in early 2016. I spent two months at the Harry Ransom Center at the University of Texas at Austin under the AHRC’s International Placement Scheme. Here, I looked at the letters of an artist and collector who worked with both Agnew’s and the National Gallery. I also spent a week at the Getty Research Institute in Los Angeles, supported by funding from the Paul Mellon Centre, and got to present my first conference paper at the College Art Association conference in Washington DC. I’m even going back to America in June, to take part in a week-long seminar at the Yale Center for British Art.